Basic Orthodox Crucifix ~SP~ 2 1/4 in. Italian bright silver plate Basic Orthodox crucifix. Sized at slightly over 2 1/4 inches tall (not including ring) and slightly over 1 1/2 inches wide. 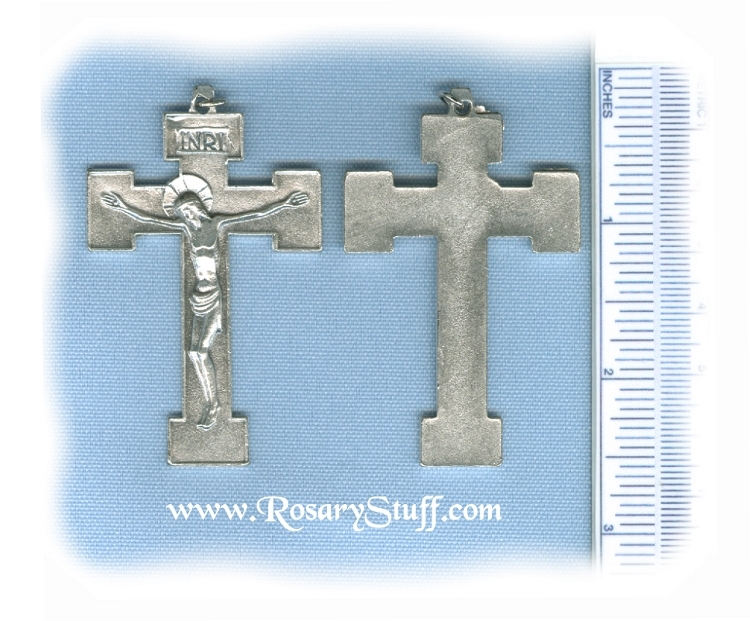 This larger sized crucifix would make a great addition to a stone or larger beaded rosary. Sunburst Tear Drop Crucifix ~SP~ 2 in.